Snugly nestled in among eight other countries is the graceful country of Austria. Rich in history and tradition while boasting some of the most recognizable names in the world as native sons, Austria’s tourism is alive and well, thanks in no small part to its amazing architecture, many museums and diverse things to do. 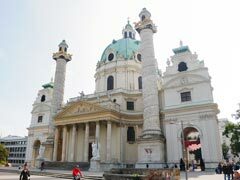 Vienna lays claim as the capital of Austria, and as the ‘city of music’ has been home to the greatest classical composers the world has ever known. Mozart, Beethoven, Schubert, Brahms, Mahler and Haydn all lived and worked in Vienna at one time or another while they were writing their compositions. No vacation to Austria is complete without taking in the classical music that makes the region so famous. Vienna was also the birthplace and residence of Sigmund Freud, whose apartment and office is now a museum featuring original furniture from his waiting room. The House of Music museum celebrates music in all its forms, while the gigantic Museumsquartier is where the various disciplines of art are brought together all in one place, letting travellers to Austria embark on a multi-dimensional trip including priceless art, sculpture, dance, and of course music. Vienna is the home to over 200 grand balls a year, stunning architectural designs spanning many centuries and palatial estates like the Schonbrunn Palace a 1,441 room summer residence complete with gardens, sculptures and galleries full of artifacts and paintings. Belvedere is another such summer residence that was originally built for Prince Eugene of Savoy. 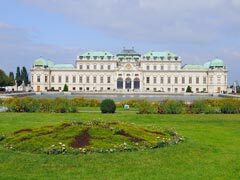 This historical complex offers Austria’s tourists 2 Baroque palaces, upper and lower Belvedere, and Orangery, palace stables, fountains, sculptures and artistically designed iron gates. Just an hour to the south of Vienna is Burgenland, where Forchteinstein Castle, the Open Air Wine Village Museum and the small town of Purbach are located. This town is a culinary delight with restaurants and historic wine cellars to tour that are slightly off the beaten path, but that offer something not many tourists have been privy to. Lakes to swim in and bike around also lend themselves to the quiet of Burgenland just a short drive from the big city with a personality all its own. Across the country, to the west of Vienna on the German border is the lovely city of Salzburg, a must for the Austrian traveller, the birthplace of Mozart and the home of the Von Trapp family whose story inspired the Hollywood blockbuster The Sound of Music. With many scenes of the popular movie filmed in town, today tours of the locales used in the shoot abound, including such landmarks as the Palace of Mirabell and its gardens and fountains that fans of the movie will instantly recognize. For those interested in history that is not the cinematic kind, the Salzburg Cathedral where Mozart was baptised is a 17th century Baroque style structure that makes for a great tour, or there is the Hohensalzburg Castle, one of the largest medieval castles in all of Europe. Sitting atop Festungsberg Mountain, this castle also offers splendid views of the surrounding areas. Salzburg also offers a Marionette Theatre where those travelling to Austria can try their hand at making the hand crafted puppets come to life. It’s never as easy as it looks! Going west again, where the majestic Austrian Alps rise up creating a phenomenal backdrop we find the city of Innsbruck, famous for hosting the Winter Olympic Games in both 1964 and 1976. With many ski resorts, including Axamer Lizum and Patscherkofel, tourists to Austria can ski and snowboard in the winter months and partake in mountaineering, hiking and nature walks during the warmer weather. Innsbruck is also home to Ambras Castle which was once home to Archduke Ferdinand II. Included in the tour of this attraction is the Chamber of Art and Curiosities, featuring strange and wonderful artifacts, the Armories, Spanish Hall and the Upper Castle that is home to a valuable art collection. This castle dates back to the 1500’s and shows tourists German Renaissance architecture at its finest. Austrian travellers won’t want to miss the Golden Roof, part of Old Town in Innsbruck, where the roof of a three tiered balcony, built for the Holy Roman Emperor Maximilian I still sparkles with 2,657 fire guilded copper tiles. Pictures, symbols and reliefs depicting his life and loves are also present and make for a historical and very different tourist destination. From the Danube river, which winds its way 1,780 miles across Austria with many quaint towns and villages sprinkled along its path, to the magnificent Alps with their snow- capped peaks, tourists to Austria could make a vacation just out of the beautiful scenery, but when you add the history, culture and fascinating architecture to the mix, Austria tourism really does have it all. For the history buff to the avid skier or those wanting a relaxing waltz back in time, Austria delivers it all, with grace to spare.